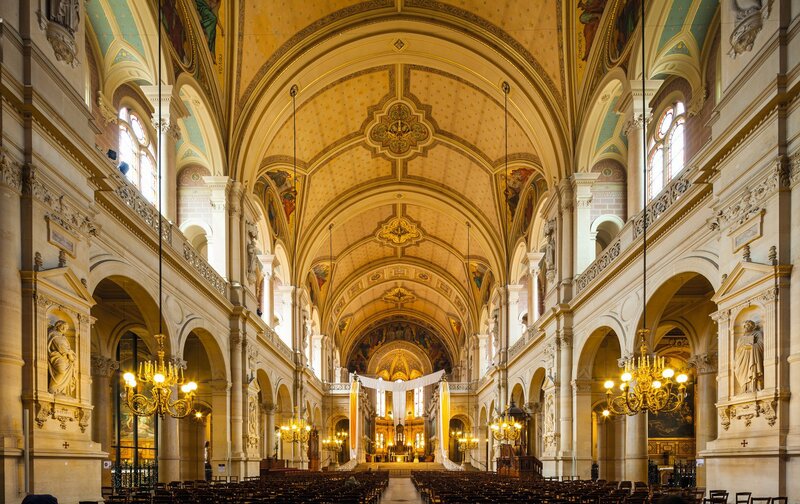 One of Paris' most enchanting sites, the Cathedral of Notre Dame on the Ile de la Citï¿½ island is a must see. Find out the best way to skip the line to climb the towers! Immortalized in Victor Hugo’s The Hunchback of Notre Dame, the Cathedral of Notre Dame has been as an essential part of the Paris skyline since its completion in 1345. Over the centuries the iconic cathedral has survived volatile moments in French history, including riots, revolutions and world wars. Today Notre Dame stands as a living link to Paris’ past, not to mention an exquisite example of Gothic architecture. The Cathedral of Notre Dame’s famous façade and awe-inspiring interior must be seen in person to be fully appreciated. 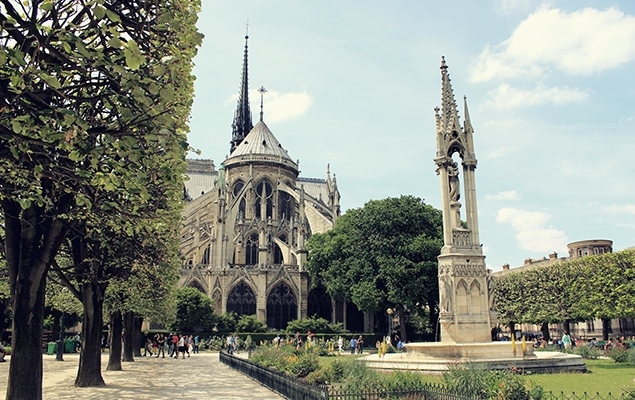 Its location on the Ile de la Cité, a natural island in the Seine River, puts the Notre Dame at the epicenter of the City of Light, and within easy reach regardless of where you are staying in Paris. 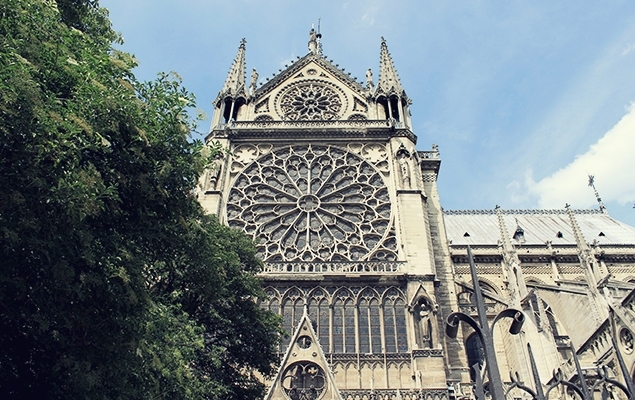 Start your visit by admiring Notre Dame’s exquisite exterior. Complete with flying buttresses, stunning stained glass windows and a menagerie of menacing gargoyles, the cathedral is one of the finest examples of Gothic architecture anywhere in the world. Step through Notre Dame’s entrance and its interior is no less spectacular. Massive stone columns line the nave and support beautiful vaulted ceilings. 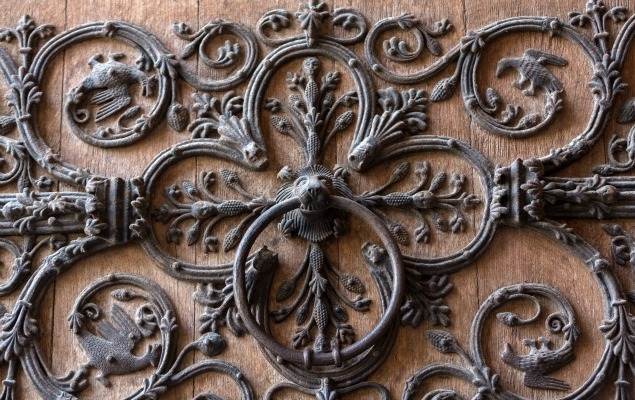 The Cathedral holds a treasure trove of historic and artistic gems, so take your time. Everything from Notre Dame’s smallest sculptures to its Great Organ (the largest in France) has a story behind it. As you explore the space, don’t forget to look up and watch the light streaming in through the cathedral’s stained glass windows - it’s truly a sight to behold! The Cathedral of Notre Dame is still an active church and a public space, so entrance is free. However, access to the cathedral’s tower and treasury is not. For a small entry fee you can climb the 387 steps up to the top of the towers for a truly magnificent view of Paris, as well as a close-up look at Notre Dame’s famous gargoyles. The cathedral’s treasury holds a number of artifacts held sacred by the church, including what is thought to be the Crown of Thorns. 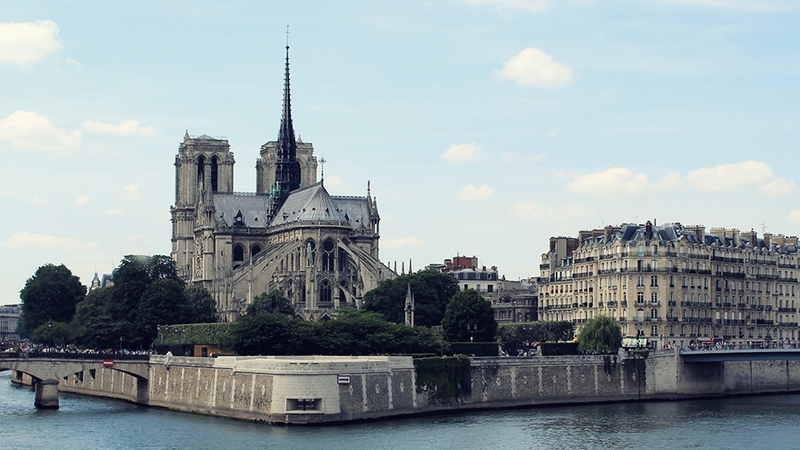 Situated on the Ile de la Cité - the oldest part of the city - Notre Dame is both the symbolic and geographic heart of Paris. Construction of the Catholic cathedral began in 1163, but was not completed until 1345. 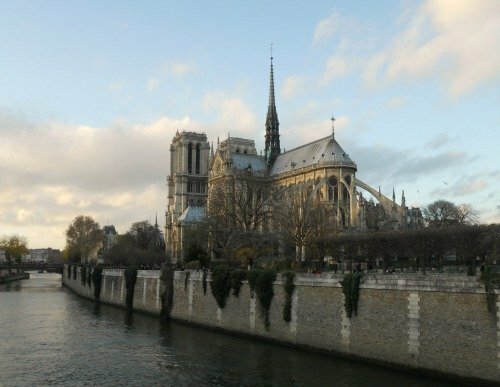 Over the last seven centuries Notre Dame has played host to some of the most pivotal moments in Paris’ fascinating history. The cathedral was the venue for the coronation of Henry VI in 1431 and Napoleon I in 1804. Notre Dame was desecrated during the turbulent French Revolution (1789-1799) and did not undergo major repairs until the 1840s. A century later, the cathedral’s enormous bells sparked a chorus of chimes throughout the city to celebrate the Liberation of Paris towards the end of World War II. One of the most unique viewpoints in Paris, the towers at Notre Dame are fun for the whole family. 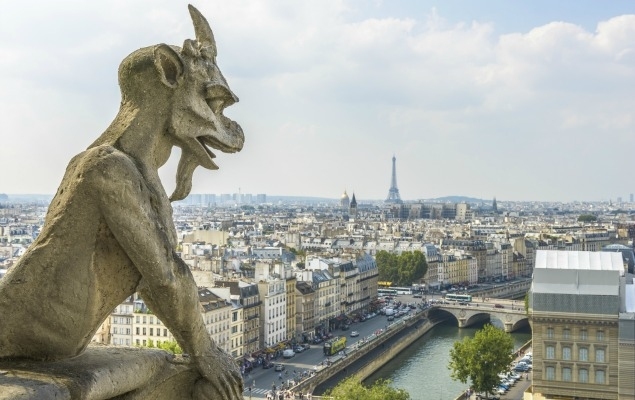 Who doesn't like getting a portrait taken next to those iconic gargoyles pondering their beautiful view of the City of Light? However, the wait to climb up the towers of Notre Dame often exceeds an hour, even during the winter months when it can be a long, cold wait. Don't waste your valuable holiday time stuck in line! 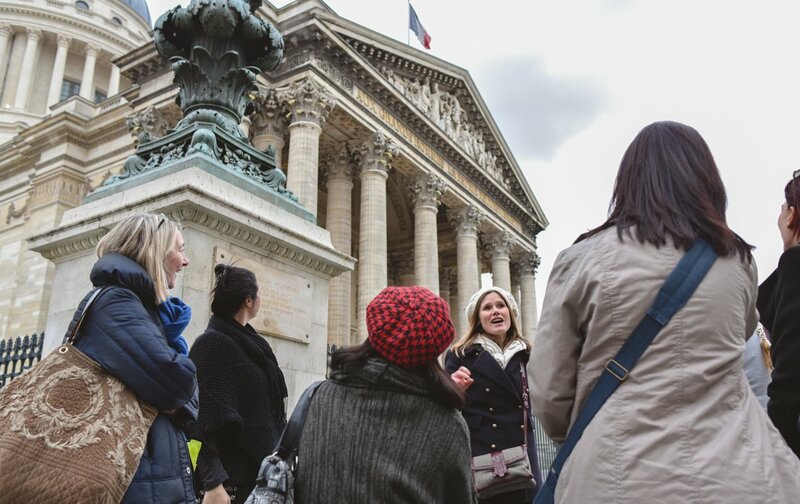 With the Skip the Line Notre Dame Towers and Sainte Chapelle tour you can avoid the long waits and go straight up to enjoy views of the city and have more time to see everything else Paris has to offer.